What seafood is fresh, local and in season in North Carolina? Where can you purchase local, high-quality seafood? 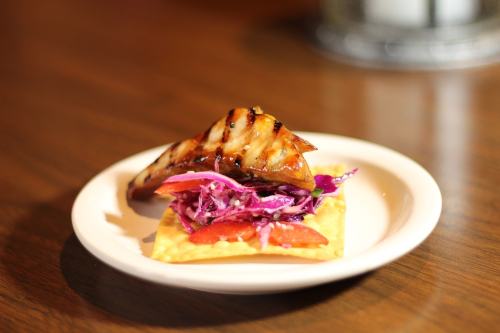 How do you select and prepare safe, flavorful seafood? North Carolina Sea Grant, in collaboration with local and state partners, helps consumers make educated decisions about the seafood they purchase and enjoy year-round from North Carolina’s fishermen, retailers, markets, stores and restaurants. The seafood availability chart is split into the north and south coast of North Carolina. 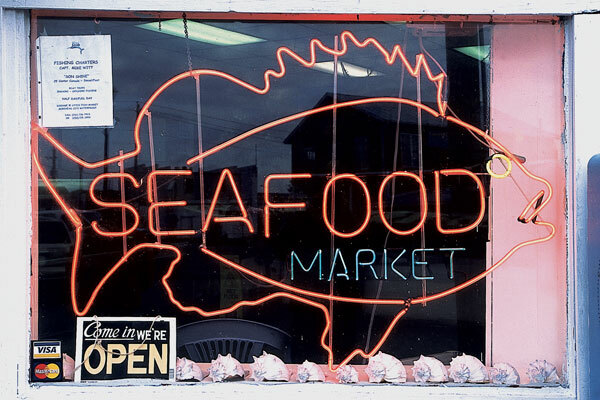 North Carolina Sea Grant is working with people in the seafood industry — fishermen, retailers, restaurateurs — to test consumers’ reactions to unfamiliar species that already are being caught locally. 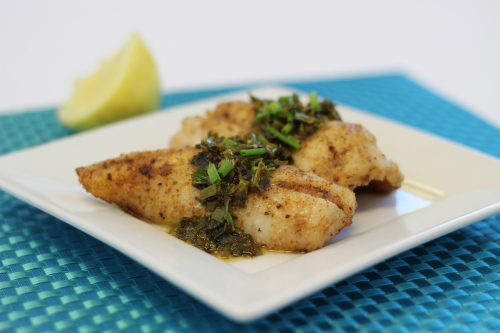 Lionfish with fresh herbs. Photo by Vanda Lewis. Chargrilled teriyaki sturgeon. Photo by Vanda Lewis. 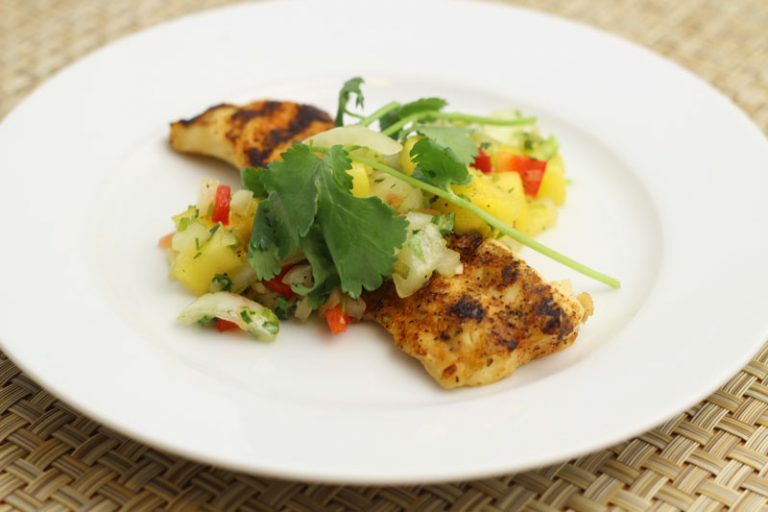 Blackened cape shark with salsa. Photo by Vanda Lewis. Jim Trotman, the Outer Banks Voice: February session and March session. Rosie Hawthorne, Kitchens are Monkey Business blog: session 1 and session 2. Looking for local seafood along the coast? NC Catch, in partnership with local catch groups, works to strengthen the North Carolina seafood economy through promotion and education. These groups are here to help. North Carolina Sea Grant collaborates with North Carolina fishermen to develop brands that distinguish local seafood from their competition. This helps consumers who prefer local products over imports when given a choice. 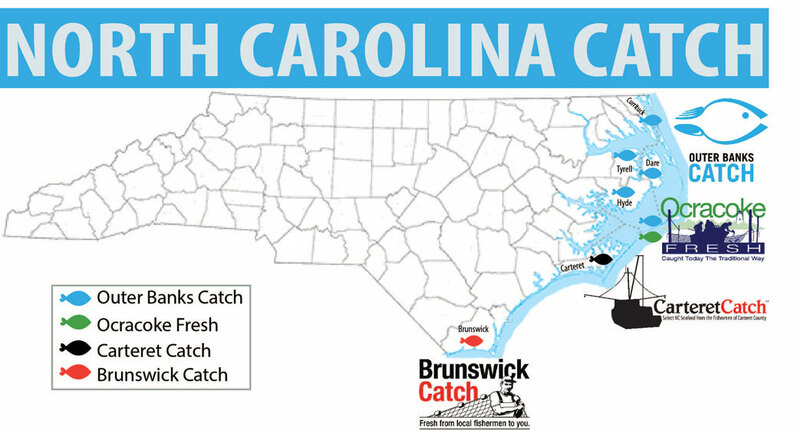 Our extension specialists helped develop and guide these Catch organizations to communicate when local species are seasonally available and where local seafood can be purchased along the North Carolina coast. Nash is the point of contact for information on discerning the quality of seafood and safe handling in the home. 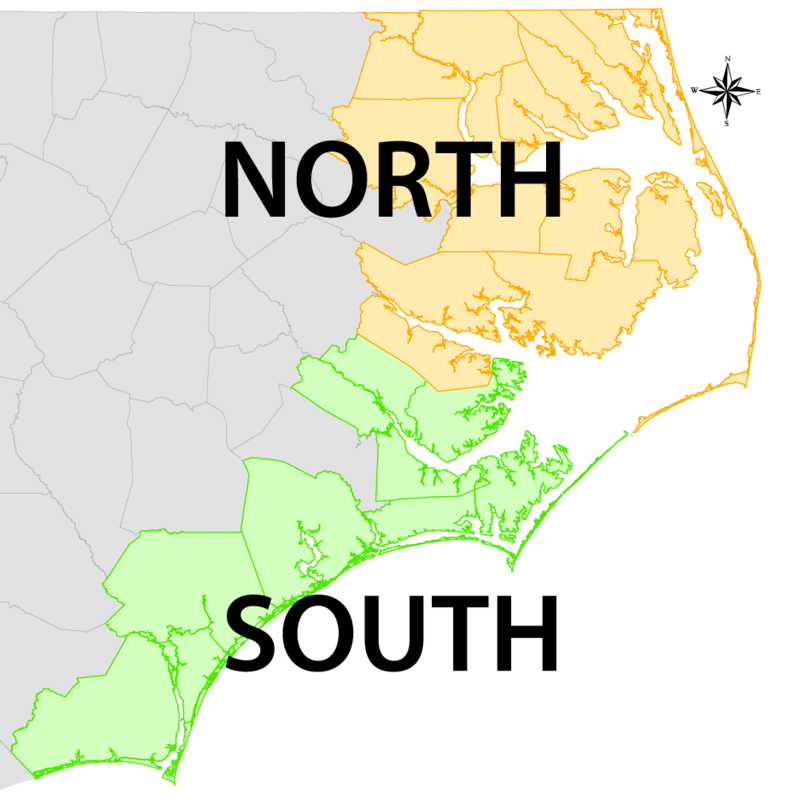 Baker focuses on the fisheries south of Cape Hatteras to the North Carolina/South Carolina border. Mirabilio focuses on the fisheries north of Cape Hatteras to the North Carolina/Virginia border.